A Hurricane of No.213 Squadron operating from a recently captured enemy airfield in North Africa late in 1942. 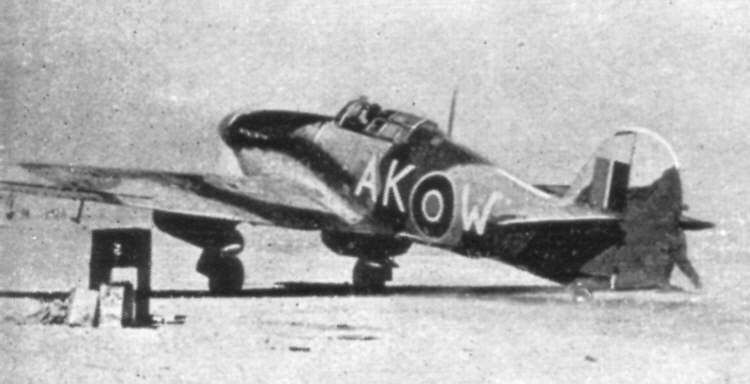 The author originally believed this to be a Hurricane IIA series 2 aircraft, armed with eight machine guns, on the grounds that the muzzles of the cannon would be visible. Evidence since provided by Paul Houle proves that it is in fact a Mk IIC with the outboard cannons removed. The inboard cannon can be clearly seen in pictures taken from other angles, but is hidden by the wings here.